Location, Location, Location with Charm to Spare! Comfortable, elegant retreat with the best location in town. Whether it’s ACL, SXSW Music and Film Festival, Formula 1, UT home games, family vacation or a romantic weekend, 612 Blanco St could not be more perfect. You won’t believe what a prime location this location is! Found in the historic district of the Clarksville neighborhood right in the heart of Austin. Just steps away from the ultra hip oyster and martini bar and restaurant, Clarks, and long time neighborhood staple, Café Jose. Wake up and get breakfast at Swedish Hill Bakery. Get your coffee to go so you can stroll the many neighborhood art galleries and shops on west 6 th street. For an afternoon snack make your way to the legendary Nau’s Pharmacy for an old-fashioned ice cream soda. Save your energy because at night you can walk to all the hot music and nightspots on 6 th street, 4 th street and the Warehouse District. This classic home was built in 1920 and was fully remodeled in late 2012 featuring all the modern amenities you could want. Within the main house there are two separate apartments. Unit A downstairs, Unit B upstairs, and Unit C in the back of the home in a separate building. 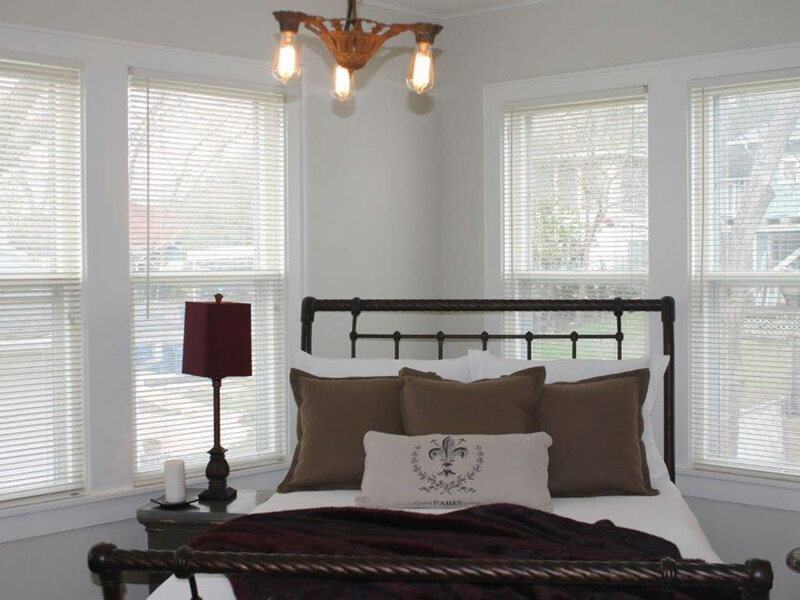 612 Blanco is a charming mix of old and new. 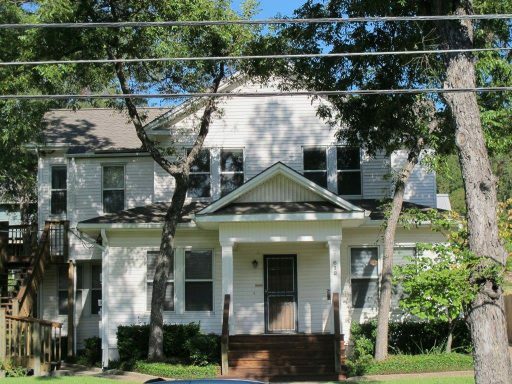 With original long leaf pine floors, tin ceilings, WiFi, granite countertops integrated with original 1920’s cabinets, renovated bathrooms featuring claw foot tubs and shower. A must see stately beauty with downtown views. 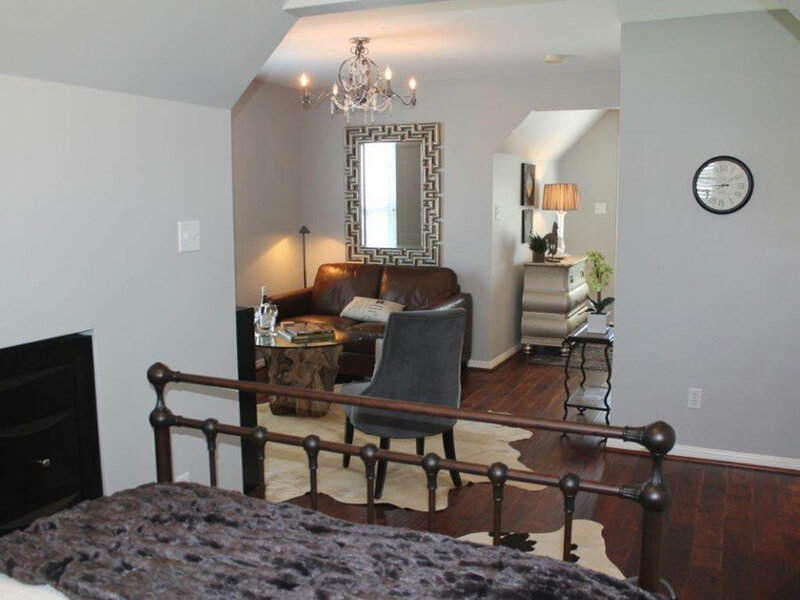 Located in the main house’s bottom floor, Unit A features two bedrooms with optional 3rd sleeping area. 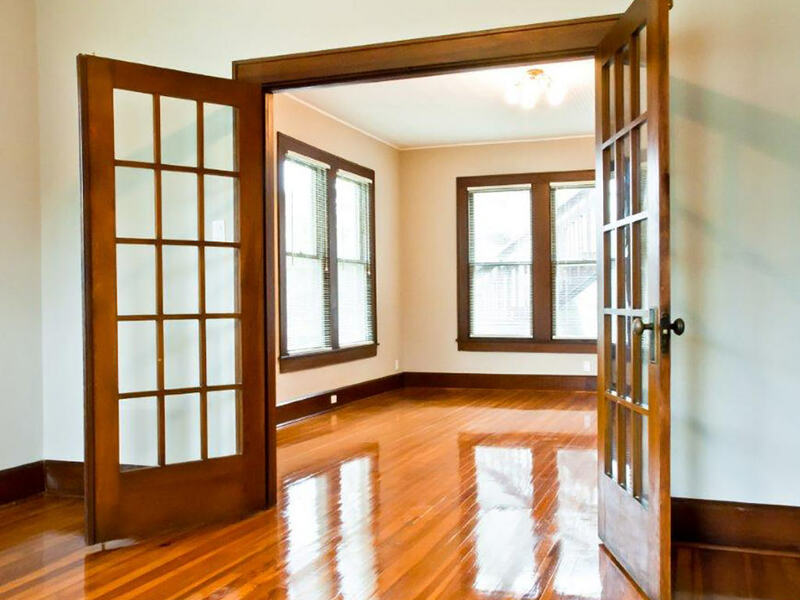 Original long leaf pine floors, large windows throughout. Kitchen has beautiful tin ceilings, granite countertops integrated with original 1920’s cabinets. Gourmet Bertazonni stove, stainless steel appliances, and period light fixtures. Bathroom has claw foot tub and shower, period fixtures and lighting. Onsite laundry room and large yard. Located behind the main house, Unit C is a beautiful studio that was built in 2001 and completely remodeled in late 2012. Sleeping area has full size iron bed. Featuring hardwood floors, onsite laundry room and large yard. Custom bathroom with marble floors and granite countertop. Kitchen features custom cabinets with granite counters, stainless steel appliances and eating area for 2. Interested in a rental close to downtown. Currently leading in Tarrytown. July 1 to mid July lease. One bedroom. Would love to see 612 Blanco unit C.
I’m available to see this today.